In 1867, African Americans established the Howard School in Fayetteville to educate black children. 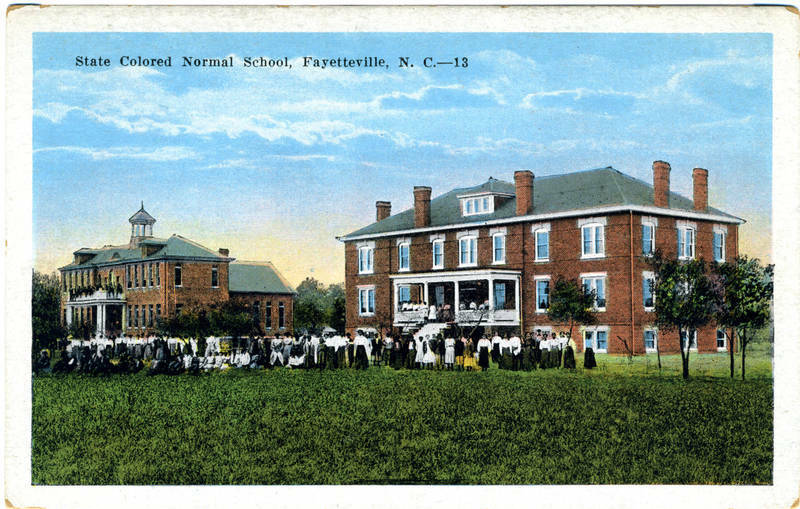 Ten years later, the General Assembly selected this institution as a site for African American teacher training and renamed it the State Colored Normal School. It is now known as Fayetteville State University. Four other historically black campuses are now part of the sixteen-campus University of North Carolina system: North Carolina A & T University, Winston-Salem State University, North Carolina Central University, and Elizabeth City State University.